3. Display - 10.5" Super AMOLED display with a QHD resolution, brightness, contrast, color temperature, sRGB coverage, etc. Alldocube X has been created with the main goal to offer the same display as on the Samsung Galaxy Tab 4 and become a truly competitive media mobile device, which instead of being priced at $650 like the Samsung model, will cost $250. In reality, Alldocube X costs $220 and does have the same gorgeous display with a 10.5-inch 2K QHD Super AMOLED panel with thin bezels. There are dual stereo speakers onboard as well. Despite the big screen, the tablet touts a compact and very thin body, promising attractive appearance and comfortable handling. The 8000 mAh battery is expected to support well the large screen and the mid-range chipset. All this said, the only question that remains is how Alldocube manages to balance the separate features to achieve this low price. So read on, our in-depth Alldocube X review will help you answer that. You can buy an Alldocube X online from various stores such as the official Alldocube on AliExpress and the official store on Amazon DE or Amazon UK. 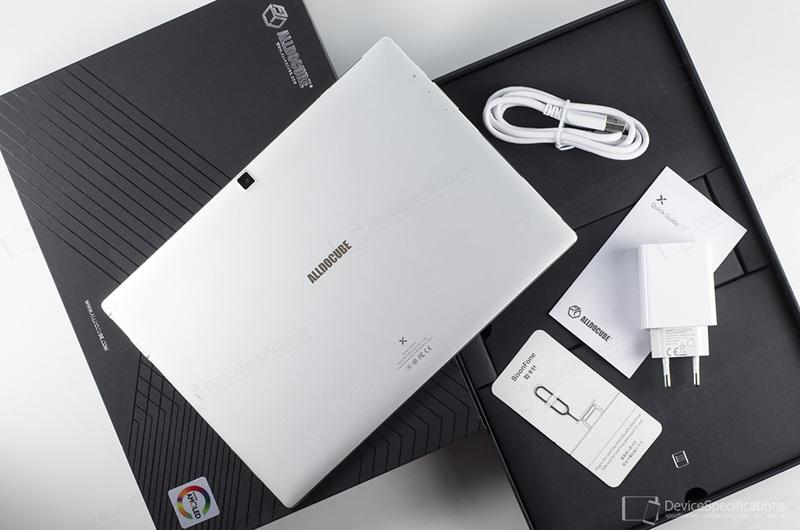 Alldocube X is equipped with a 10.5-inch Super AMOLED display from Samsung with a 2K QHD resolution, which translates to 2560 x 1600 pixels for that particular model. The typical brightness of the screen is specified as 350 cd/2 and the static contrast ratio is mentioned as being 100000:1. The display covers 105% of the NTSC colour space and 100% of the DCI-P3 cinematic colour space. The screen is protected by a Corning Gorilla Glass of unspecified generation. The thin metal body houses an 8000 mAh Li-Ion battery which supports MediaTek Pump Express Plus 2.0 and arrives with an 18W fast charger. 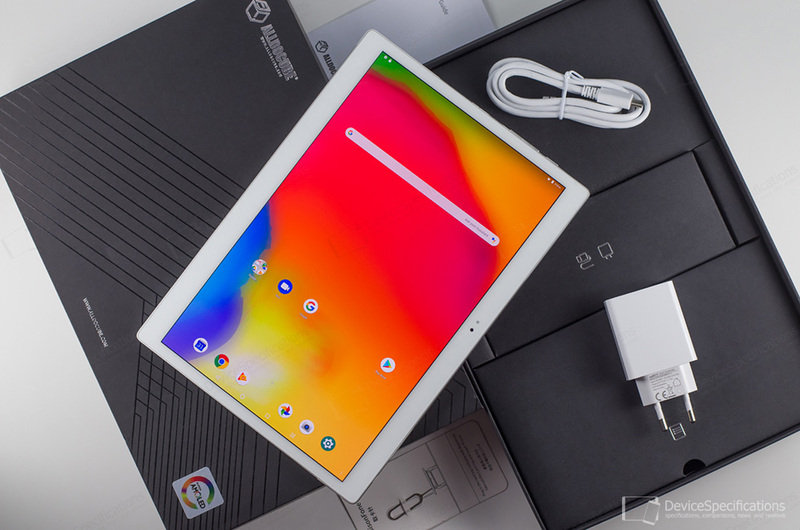 Performance-wise, the tablet is based on a MediaTek MT8176 which houses a hexa-core CPU with two 2.1GHz Cortex-A72 cores and four 1.7GHz Cortex-A53 cores. A 650 MHz dual-core PowerVR GX6250 GPU handles the graphics. They are paired with a 933MHz dual-channel LPDDR3 RAM with 4GB of capacity. The built-in storage measures 64GB and is of the eMMC 5.1 type. It can be further expanded via the microSD card slot. Alldocube X has an 8MP front camera with an f/2.8 lens and the same 8MP shooter with an f/2.8 lens sits on the back. More importantly, the device is adorned with two stereo speakers and packs an Asahi Kasei AK4376A for enhanced audio quality. A side-mounted fingerprint is provided as well. The device has a USB Type-C 3.0 port and a 3.5 mm jack. As this is a Wi-Fi tablet, it supports dual-band Wi-Fi 802.11 a/b/g/n. Thethering is possible via USB and Bluetooth only. No satellite positioning services are supported.